Hailing from Venezuela, Joan Pellicer began studying the clarinet at the age of twelve. He attended South Dade High School and has performed with the All-County Band, the University of Miami Honor Band and the Miami Dade College (MDC) Honor Band. Joan is a freshman at MDC and is principal clarinetist in the Miami Dade Wind Symphony. 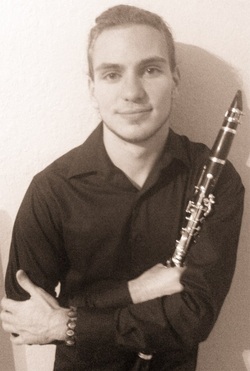 He is also a member of the student wind quintet and clarinet quartet. Joan currently studies with Dr. Christopher Graham.